Missionaries from the Redwood Throne first entered Gaunt in 60 RE. Little is known now of what they found during those years, but the few survivors told blood-curdling tales of trolls and frozen dead that walked the lands. When another legation returned in force 175 years later, they found a settled country, but those missionaries reported that all of the oldest villages were near the sea, but had no record of their founding. Prior to House Voluspa’s rise to power in 835 RE, Gaunt was known as a lawless land of feuding tribal chieftains. Gauntish raiders and bandits made the roads from the Principalities to Oresund too dangerous to travel, contributing to Oresund’s isolation. The sea-roads too were unsafe, as the Gauntish sea-raiders were merciless. Recognizing that these constant feuds disrupt the maintenance of roads and the distribution of vital resources, the monarchs of House Voluspa declared them to be immune to clan feuds and overthrow. Starting with Dane Ingalvur the Stout in 839, the crown of Gaunt has used political or military pressure to compel every clan to swear itself to a “league of neighbors” that supports and defends Gaunt’s infrastructure. A later monarch, Dane Medana Southborn, named it the Amphictyony, a term borrowed from the earliest Tarsikkan histories, lending an air of scholarship and civilization to the practice. House Voluspa has labored to restore and maintain the Amphictyony’s holdings, such as roads and posts, but sustaining their authority means sending most of their manpower to raid their neighbors. House Voluspa relies on external enemies to maintain internal cohesion, and protects the holdings of the Amphictyony with the threat of extreme force. As Gaunt reveres the warrior life and rich plunder, its people turn to infighting if they lack outside targets. Only the warriors of the Dane’s Bulwark forego raiding and the forging of warrior-rings, as they are charged instead with guarding the Dane and the homeland. The first of those external enemies was Athral Isle, against which Gaunt sent a raiding fleet in 852. Turned aside by King Theirian’s ships, they returned home empty-handed and began to plot their next attack. A few decades later, Gauntish mercenaries fought in the Athral civil wars, secretly reconnoitering the land they still meant to plunder. In 903 Gaunt returned in force, establishing a foothold at Little Loughton and looting across the countryside. They sent many treasure-laden ships home, until the remaining raiders were finally defeated at the Battle of Malden Cliffs. One final ship returned to Gaunt, bearing the heads of the slain Gauntish warriors. Shamed by this show of scorn, generations of Gauntish warriors turned elsewhere for plunder. Clan-feuds that continue even into the modern day were born in the infighting that occurred during the two centuries following the Battle of Malden Cliffs. Gauntish warriors looked also to Oresund, but found little worth taking. To the south, raiders struck the Margravate of Eisenmark and continued even into Trayal and eastern Brezha; successes there revitalized all of Gaunt. Heartened by their victories, Dane Ulfkell of the Bearskin commanded a new and greater fleet to gather: the pride of Athral Isle would be sundered, its tall towers toppled, and the Couraine Kings shamed. To this battle he sent his niece Katla Spearwife and his son Ingvar. In 1109, they divided their forces, attacking in the north and in the south. Katla’s fleet in the south was repelled, but not before they had burned half of the Athral fleet. The survivors sailed northward to Kingswatch Harbor, where Ingvar had won a foothold, and joined his forces there. The Athral defenders failed time and again to drive the Gauntish from the mountains around Kingswatch. When word of this victory reached Gaunt, Athral Isle’s doom was sealed; dozens of longships packed with warriors joined Ingvar and Katla. The conquest of the Isle spanned eighty-one long and bloody years, until King Ardith was slain at Malden and his line ended. Finally, Drostan of House Voluspa was crowned king of Athral Isle. In the twenty years since that victory, Gaunt’s gaze has once again fallen upon Eisenmark. Many warriors find work as mercenaries across the Principalities and Akathia; the Redwood Throne in particular pays well and values those who do not have familial connections to Verdien. In Gauntish society, the warriors are typically in charge, but with a dependence on and superstitious fear of ritualists and other types of magic. Warriors who have retired to the life of clan lord are also revered, if only because the strongest, wisest, or most cunning warriors live to see retirement. The strength of a clan is through the familial relationships of the women; men are typically clan lords, but it is through the strength of the lord’s wife, sisters, daughters, and female cousins that he finds extended success. Men born to successful clans are raised with the idea that they will leave the clan in order to prove their worth and possibly found clans of their own. Women learn that their familial ties shape the clan’s future. Many a ship’s captain is an enterprising woman sailing a ship sponsored by her clan’s lord. The woman owns the vessel free and clear, and sails for the glory of her clan; many young men owe their first successes to joining a ship for the Sword-Price of a year and a day of service. Forge Magic is the most common magical practice in Gaunt, and even that is relatively uncommon, though mundane smithing is widespread. Healers receive gratitude but no glory for their acts of healing. In service of the injured and the slain, a healer is expected to take up arms against the aggressor. The Gauntish respect those who stand up for themselves, especially in the face of overwhelming odds. Skalds, the scholars of Gaunt, are treated with respect, in large part because they can build or destroy one’s reputation. It is absolutely forbidden to punish anyone for things said in the office of a skald; thus the only revenge on a skald is dismissal from service or the response of another skald. Serving as a skald is not mutually exclusive with any other societal position, up to and including the Dane. The stereotypical Gauntish personality ranges from "braggart" to "silent guardian." Internationally, native-born Athrals and northern Verdiens hate them for their historical conflicts. Oresunders generally like travelers from Gaunt, and the other nations have no significant contact with them. 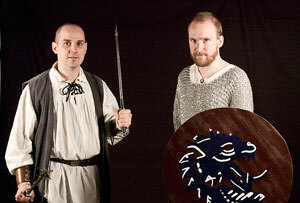 Gaunt boasts two orders of Warriors-- the Dane's Bulwark and the Shieldeaters of Gaunt. The Dane's Bulwark are trained to defend the Dane, and serve as his loyal guard and warriors wherever they might travel. The Shieldeaters are berzerkers, fearlessly despising shield and heavy armor, and destroying the shields of their enemies. Many of the fiercest raiders of Gaunt belong to the Shieldeaters. The Gauntish collect battle-trophies whenever possible. Their warriors and lords also strive to amass huge hoards of wealth, which they use to attract followers and secure their loyalty. A man who gathers enough wealth might buy the comforts of a better life for his sons and daughters, even if he himself finds death in battle. The exchange of treasure-gifts is central to the relationship between a lord and his warriors. The lord is judged by his gifts to his followers and can expect unshakeable loyalty from them as long as he pays them handsomely. The lord that falls on hard times usually finds his warriors flocking to another lord’s mead-hall. It is not unheard-of for a lord expecting financial ruin to transfer his warriors to the service of another lord within his House, securing as much loyalty as he can through the ties of his wife and daughters. While skill at arms is expected of all men, most pursue other trades as well, rather than serving as a guard or soldier full-time. They might be fishermen, farmers, miners, furriers, and crafters of many other trades. Women likewise take up many of these same professions, with the most successful serving as a clan’s ship captains or raid leaders. The first treasure a warrior receives is two weapons, of whatever style he prefers, and a shield if he favors it. His service in return is called the Sword-Price, a year and a day of loyalty, in which he receives a quarter-share of any treasure-gifts that would be his due. Should the lord’s coffers run empty, the young warrior must remain loyal while the senior vassals look elsewhere. A man or woman might receive weapons as young as 16, though it is not uncommon to wait a few years more. Few outsiders recognize the importance of women in Gauntish culture. Though women often become respected warriors and captains, it is not the most common path. Most stay in the home or the mead-hall, where they not only raise the young, but also create long-term plans and perform political maneuvering for the warriors. Though warriors are brash and straightforward, the Gauntish people also respect cunning and subtlety in women and their prominent lords. Women do much to guide the connections that hold society together, even as warriors tear it apart with feuding. They encourage marriages to create strong bloodlines, and they ensure inheritances go to the worthy and do not leave widows empty-handed. Even so, women are not exempt from the violence of House feuds, and are some of Gaunt’s most vicious fighters on the battlefield and in politics. Aside from their warrior culture, the Gauntish people are noted for their vibrant revelry and celebration of life. A Gauntishman would prefer to feast today and go hungry the day after rather than eat moderately both days. Gauntish people with the opportunity frequently travel the world, and the people they meet in those travels typically find individual Gauntishmen to be entertaining and friendly guests. The House of Voluspa has granted the Redwood Throne considerable leeway within Gaunt, and the Dane claims to follow their guidance. However, he seems to “misunderstand” their teachings whenever it proves convenient. From this state of theoretical alliance with the Church, Sverre suffers far fewer retaliatory raids from Eisenmark, but the Shieldeaters continue to cross the border into Eisenmark with relative impunity. The common people are impressed with the Redwood Throne, thanks to occasional displays of miraculous gifts. They are generally interested in what the priests have to say, but the messages of absolute obedience to the Throne and acceptance of one's position in life are definitely unpopular in this culture of self-betterment through the warrior arts. Regardless of what the Redwood Throne teaches, the traditions of ancestor worship that their cousins in Oresund still practice somewhat linger in Gauntish culture. Many Gauntishmen combine the two faiths, simultaneously thanking the glorious Throne and the spirit of their grandfather for a favorable outcome. For their part, the Redwood Throne continues its effort to absorb the more notable figures in Gaunt lore into the religion itself, making them in to Agios and Agias of the faith in order to garner more support. The Gauntish are a bold, adventurous, and affable people, interested in seeing the world and claiming as much of its wealth as they can. There is no limit to how far one might rise in Gauntish society, given courage, strength, and allies. They endure in an unforgiving land and sail storm-wracked northern seas. They are honorable, particularly in upholding laws of hospitality, though their sense of honor is often strange to other cultures. Gauntish culture embraces a high degree of internal, even violent conflict, while also laying out clear boundaries beyond which that violence is not tolerated. Gaunt's warriors are some of the most feared and respected in the world, and are highly sought after as mercenaries - particularly those belonging to Gaunt's two famed warrior orders. Gaunt is a country for people who like mead, axes, epic poetry, seawater, and blood, in no particular order. Gaunt has recently won its long war against Athral Isle, and the Isle's wealth has enriched people at every level of Gauntish society. What makes Gaunt less than desirable? The Gauntish have made many enemies over the past few centuries, particularly the Athral populace that they have conquered. Without an external enemy, though, the feuds between the four Houses inevitably tear the country apart, as has happened before. Scholarship, including the lore of magic and craft, receive less respect within Gaunt than elsewhere, though a competent wizard is still highly valued. A Gauntishman who lacks the strength or the allies to protect what he has won't have it for long. Belonging to a House carries certain protections and privileges, but also carries heavy responsibilities, particularly the obligation to avenge insults or attacks against other members of the House. Gaunt is a nation of Vikings, dedicated to the comitatus code, with a few twists. Denmark, Norway, and Sweden are significant historical guidelines. The Dane’s Bulwark focuses on themes of loyalty and a warrior’s obligation to his lord, while the Shieldeaters of Gaunt are berserkers. Gauntish people wear a lot of Royal Blue. 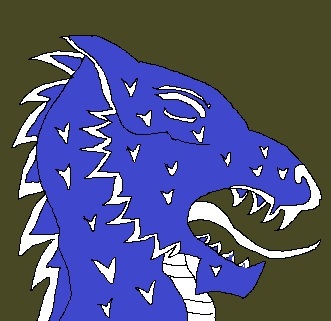 Not only is it the color of Lavine, the Ice Dragon of Gaunt, but Royal Blue dye is produced from a shellfish found only in Gauntish fjords, so the color holds both pride for them, and is readily available. Furs are worn by nearly everyone in Gaunt; it is a cold country, and there is a steady trapping trade in the mountains. Stamps are used to create intricate knot-work patterns on the edges of clothes. Coarse, hardy cloth is common, especially wool. The Gauntish pay two fewer points for Rapid Healing or Pain Resistance.